Earlier this week I was nominated for this award by my awesome blogging pal Seeking Sammy. (Thank you!!) It was SUCH a nice surprise to see pop up on my phone, and it’s so great as a new blogger to see that my content hasn’t been as catastrophically bad as I thought it would be! 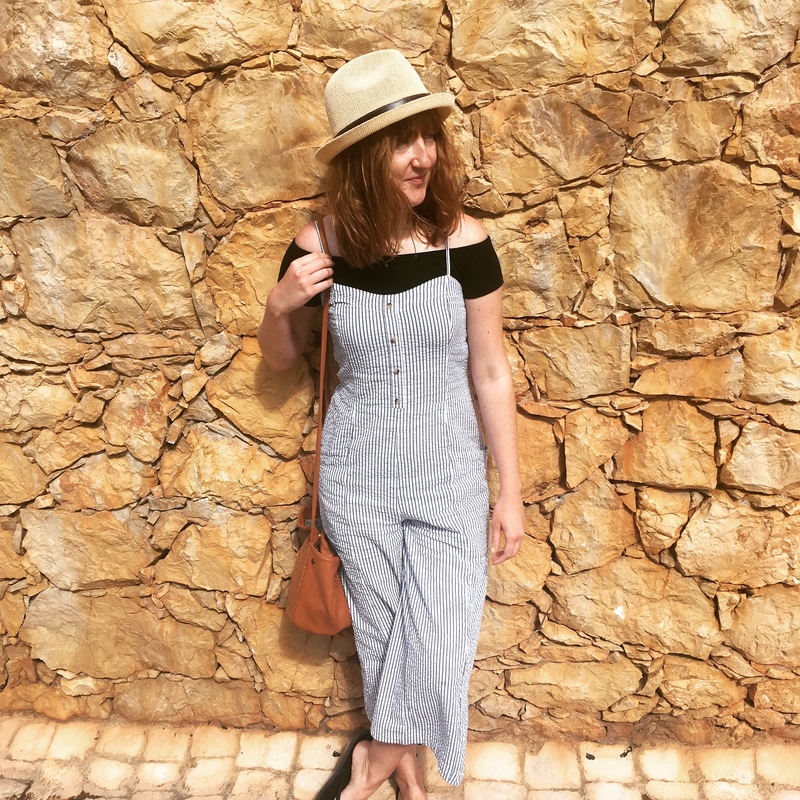 Plus, I haven’t really written any personal posts yet, so it’s exciting to be given the opportunity to share a bit more about me and my bonkers self with you and the whole wide blogosphere. Enjoy! Put the award logo on your blog. Answer 7 questions asked by the person who nominated you. Thank the person who nominated you, linking to their blogs. Nominate any number of bloggers you like, linking to their blogs. Let them know you nominated them (by commenting on their blog etc). What do you wish you knew before you started blogging? How addictive it would be! My day job involves a lot of blog writing anyway, yet I find myself wanting to do it in all my spare time as well for my own blog (I’m currently writing this on my lunch break, and I’ll probably finish it on my commute home, and do a bit more before I go to sleep. I CAN’T STOP HELP). No plans yet unfortunately, but I would love to go back to Edinburgh during the Edinburgh Festival Fringe! I went on my own a couple of years ago and loved it – Edinburgh is such an amazing city anyway but visiting it for the first time during the Fringe was so good. I got to meet my favourite comedian, and was even brought on stage as part of the show where I got to display my incredibly awkward and self deprecating humour to a whole room full of people. Canada is 100% the country I would like to visit the most, it looks INCREDIBLE – I’ve had my eye on an STA Travel route for a few months which stops off at Toronto and I’m so so tempted to book it (I can already hear my bank account crying as I type that). I’d also really like to go to Montreal during their comedy festival, Vancouver, and Banff National Park. I can do all of that with £2.78, yeah? Growing a follower base! When I started my travel blog, I was so worried that I would just sound silly and ridiculous that I kept it private for nearly a whole year. When I finally plucked up the courage in April to set it to public and make social media accounts, it was so exciting to see that my blog maybe wasn’t completely terrible and people were interested in reading about my questionable travel advice and tragic tales from the road. Which brand/company would you love to collaborate with? STA Travel or CCUSA UK, as I’ve travelled with both of them now and they’re really good! A couple of years ago I worked at a US summer camp through CCUSA and it was bloody amazing, so now I’m thinking about applying to do the same thing in Canada next year. Another (pretty random) idea I had was Dr. Martens, because their footwear has been a godsend for my feet on most of my travels (and in life in general, to be fair). Which platform provides the best promotion for your blog? Definitely Twitter! The support from the blogger community on there has been amazing. Instagram is good too, but I don’t get quite as much growth, purely because my photography skills are pretty poor and I’m terrible at getting the filter/editing right. Which of your previous posts would you really like your viewers to take a look at? I can get really critical of my own writing but I feel like my favourite post on my blog is the one called “How I deal with my fear of flying” – I like putting my sense of humour into my writing style and I feel like I was able to make it work quite well for this post. Now it’s time to pass it on! I’ve been loving these bloggers and their fab content, so my nominees are: Off To The World, The Girl With A Compass, Abbie Williams, Where Goes Rose, and Dreamy Drifter! Why did you choose to start your blog? What has been your favourite travelling experience so far? What/where is at the top of your bucket list? What is your favourite place to visit in your home country? Favourite hostel you’ve stayed in? Favourite social media platform for your blog? What do you like the most about running a blog?